Whether you are a life-long follower of Jesus or just beginning to investigate spiritual truths, a great church can make all the difference. Wherever you are at on your spiritual journey, we believe you will find a welcome, caring place at Lake Union. We don't have all the answers and you may not even know what questions you have; but what a great adventure it is when we try to put the two of them together. At Lake Union no one is an outsider; you are just someone we haven't met yet. Come join us Sundays at 9:00 am and see if there is a connection to be made. Stay plugged in! "Like" or follow us on Facebook and Twitter for the latest events and photos. We are excited to announce that Shelly Mikel is our new Volunteer Coordinator! She will be reaching out to many of you as to your gifts, talents, and opportunities to serve at Lake Union Church. Check out our new website tab, “Volunteer,” as to opportunities within the church and how to connect with the ministry team leader and Shelly. 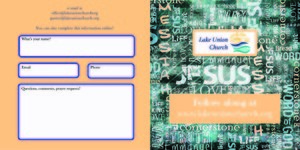 Or feel free to email her at this link or visit with her on any Sunday morning. Lent and Easter - save the dates! Save the date! Invite a friend! Here is the schedule of special events at Lake Union Church during Lent and Easter. Breakfast (free will offering), 9:15 to 10:15 am - Help needed. Sign up online; more information under “Announcements” on the website. Great fun for all! More information to come! Please consider a donation over and above your regular giving to help youth experience a loving God and grow spiritually through a bible camp experience. Please designate your check if including in the offering. You can also give online - click here. Be sure to check the "Camp" button and indicate in the notes if this is "In honor/memory" of someone. The first audio of the new series, "Genesis," is now on the website! In his unique way, Pastor Mark brings the book of Genesis to life through knowledge, humor and stories. His first podcast covers Genesis, chapter 1. Click here to link to the "Bible Study" audio page, and subscribe if you want to be notified when new audio in the series are added. Or, play and listen to Episode 1, "Genesis, chapter 1," below. Enjoy! Questions, suggestions, comments or concerns can be directed to any member on either of these committees. Our contact page includes links to their email address. Sponsor a child in Uganda! Change a life! Your support will work hard for the child and the school community of Siloam. You'll help that child and their community to stand tall, free from poverty. 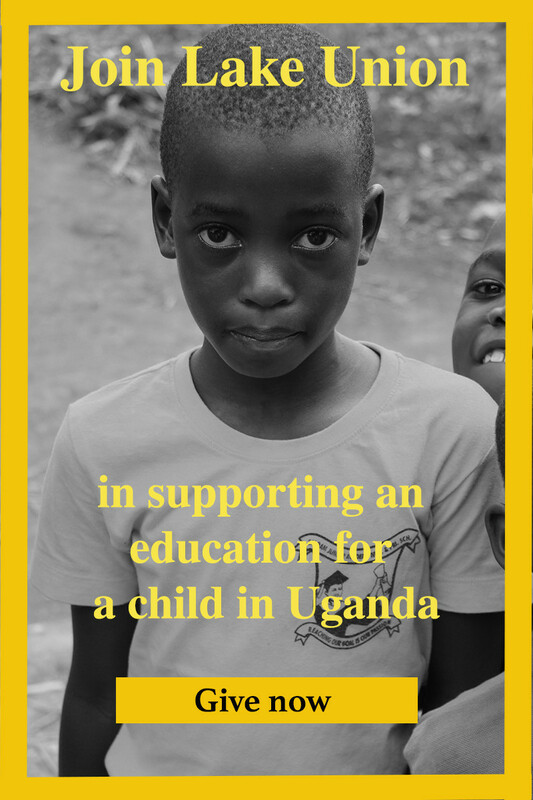 Click here to begin your journey in providing an education to a young person in Uganda.